Super-wide colour gamut: Easily create consistent, accurate proofs or exceptional photographs and fine art images thanks to one of the widest colour gamuts on the market. This compact, 17-inch production printer sets new standards in colour precision for pre-press, packaging, design, commercial photographs and fine art reproduction. 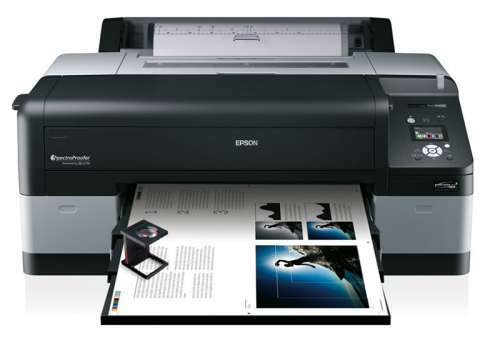 The Epson Stylus Pro 4900 boasts outstanding colour consistency and accurate colour matching, and can reproduce 98 percent of all PANTONE* colours. 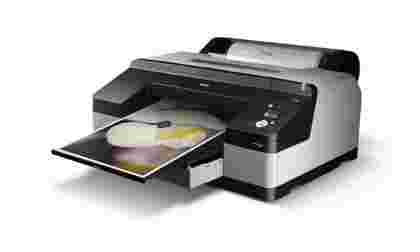 Its high level of automation and robust mechanism make this printer a highly productive workhorse for any proofing, office or studio environment. Easily create consistent, accurate proofs or exceptional photographs and fine art images thanks to one of the widest colour gamuts on the market. 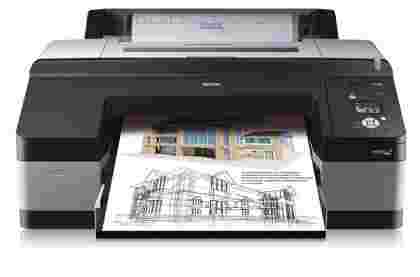 Epson’s 11-colour UltraChrome HDR inks and Advanced-TFP print head give a professional finish every time, and are identical to the inks and technologies used in Epson’s larger format production printers up to 44 inches.Accurate remote proofing:Produce high-quality remote proofs with the Epson Stylus Pro 4900’s automatic colour certification and calibration. The optional inline SpectroProofer ensures consistent, repeatable colour accuracy when using different media, rapidly measuring control strips and colour charts when creating ICC profiles and print verification results. Work faster with a production speed of speed of 30m²/hour and minimal maintenance requirements. The high capacity front-loading cassette makes inserting paper easy, and automated paper changing means no time is wasted switching between cut sheet and roll paper. The printer also switches automatically between photo and matte black inks, with both installed to avoid stopping the print run. All inks come in high capacity cartridges for less frequent changes and better value. Print on a wide range of media up to 1.5mm thick, including thick photo or presentation matte board, canvas and fine art paper. Choose from a variety of paper paths; cassette, top and front manual board feed or roll. ENERGY STAR qualified power efficiency helps reduce energy bills and environmental impact. * PANTONE® is the property of Pantone LLC. 98% coverage of PANTONE FORMULA GUIDE solid coated palette based on Epson Proofing Paper White Semimatte printed with Epson printer driver at 2880x1440dpi. PANTONE coverage may vary when printed with a third-party RIP.